Every challenge is unique but this one was memorable in that it might be the one project where I was able to use the widest variety of abilities. 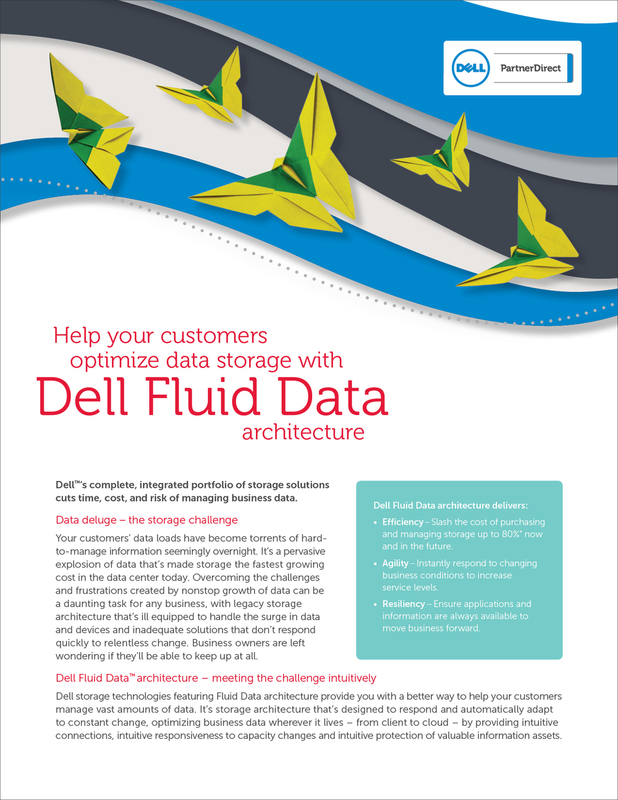 Dell had used origami in a previous campaign but no longer had access to that imagery. Our goal was to provide new imagery for their updated layouts but it needed to have a visual tie back to the originals. I saw the challenge and ran with it. I researched how to create both of these animals and began folding. Once I had the ones I wanted, I also had to photograph and color correct the images. The sky and water background were inspired by a pre-existing graphic they had used in previous Fluid Data materials. I created those backgrounds in Illustrator and Photoshop and then moved all those elements into layout.